Layla Ceramic polishes were recently stocked within local Ulta stores in my area. With a coupon in hand, I couldn't resist picking up a few bottles. 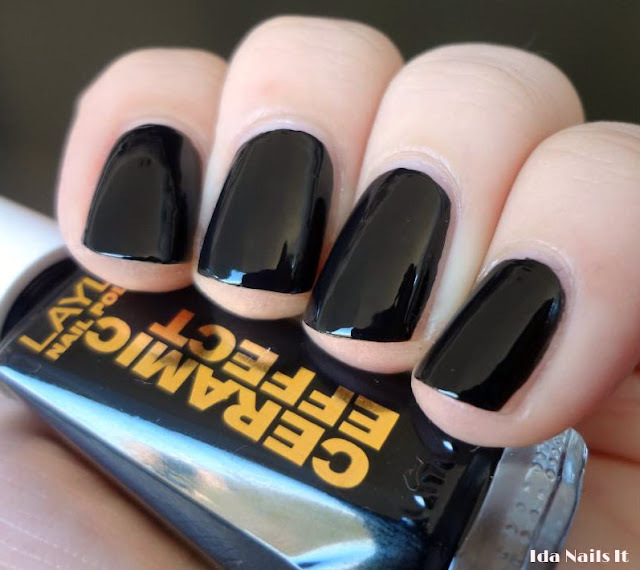 Layla Ceramic #31 Pure Black was bought with the intent to see how it held up against my current favorite black nail polish, Finger Paints Black Expressionism. I used two coats in the photo but would have been fine with just one coat and the polish has a really nice glossy finish. I am impressed, it may actually replace my bottle of Black Expressionism. Layla Ceramic #53 Killing Red is a red jelly with gold flakies. Very similar to Barielle's Elle's Spell, except that Killing Red is a cherry jelly and Elle's Spell is a raspberry jelly. I got full coverage with just two coats. 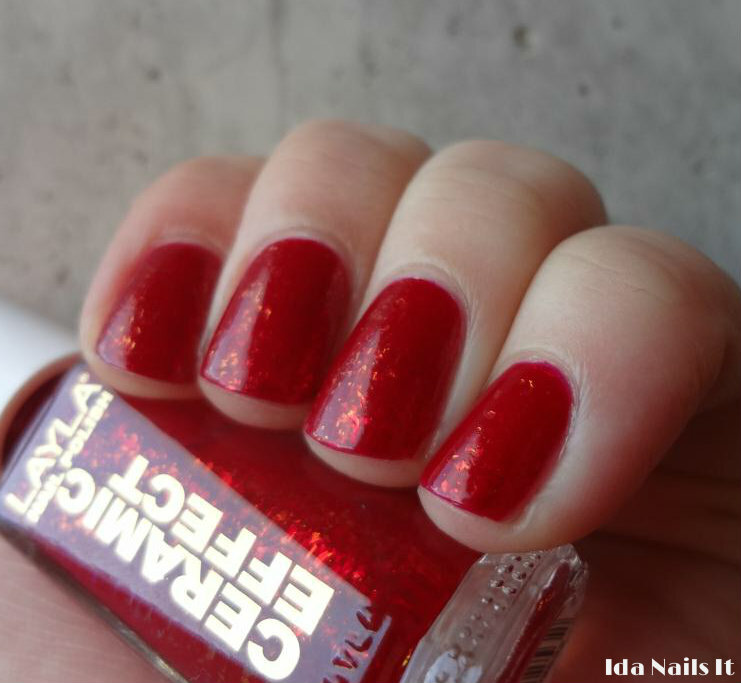 I think I do prefer this to Elle's Spell, I love this cherry red color. 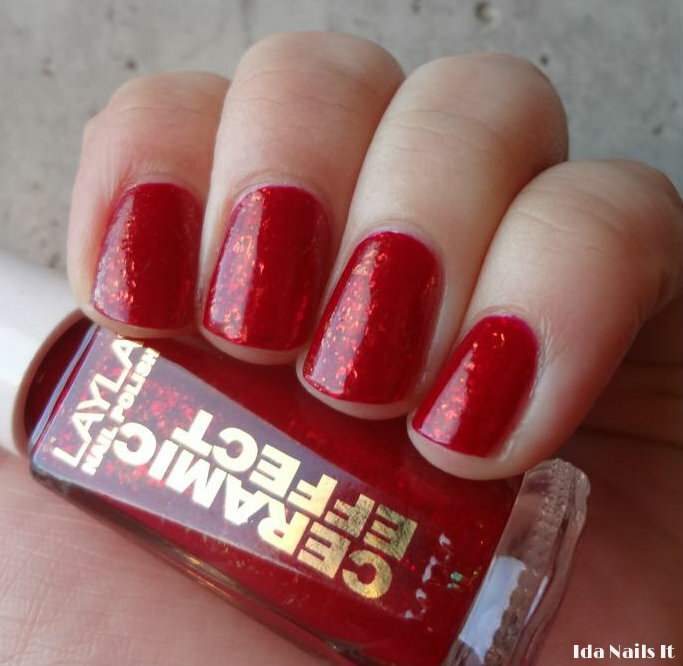 I purchased my Layla Ceramic bottles in store at a local Ulta but they are also online at Ninja Polish.